WE GET IT. WE HAVE KIDS. WE LOVE KIDS! WE REALLY ARE JUST BIG KIDS! Kids grow up fast, so make the best of the time you have with them. 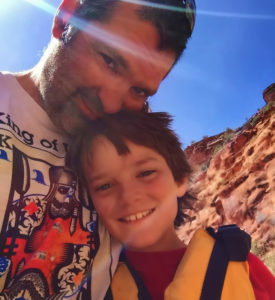 Family friendly trips with Mild to Wild will create memories that last a lifetime! Mild to Wild is a family and we are known for creating world-class family experiences. With our wide range of activities and adventures, fitting for all age ranges, abilities and adventure levels, we create trips for families with time for discovery, exploration, relaxation and an overall enjoyable family vacation. Create lifetime memories away from hectic daily life for just a day (or three) or as long as you can! 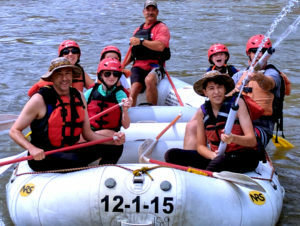 Family adventure trips mean BIG fun and awesome togetherness! The natural outdoor playground of the Southwest provides a fun and educational experience. While having fun, though, safety is still our top priority! Tucked away in Southwest Colorado, Mesa Verde National Park is waiting for you to discover its rich heritage, hundreds of cliff dwellings and thousands of archeological sites. Kids, earn your Ranger Badge and interact with our National Park’s fantastic rangers. Families, experience the intriguing cliff dwellings and the remnants and clues of a life long ago that have been left behind for you to discover today! 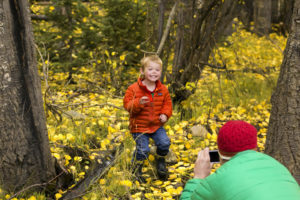 Kids love exploring and learning in the outdoors. They have so much fun they don't even know they are learning! 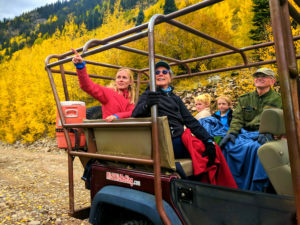 Our jeep trail tours are interactive tours that explore up to 13,000 feet on old mining trails that you would not want to take your own vehicle! Sit back, relax and enjoy the ride and tour. 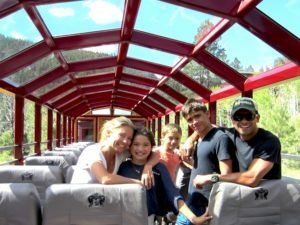 We have many options to accommodate your budget and itinerary: Durango's La Plata Canyon, Silverton's Ghost Town Tour or our most popular trip option combining the Durango Narrow Gauge Railroad with a Ghost Town Tour: Trails n' Rails. We know raising a family is expensive and that you want to do all you can for your kids. We try to help by packing our most popular trip options together to save you money. Check out our Adventure Value Packages! We know time is tight, but an overnight trip experience is truly worth the memories! 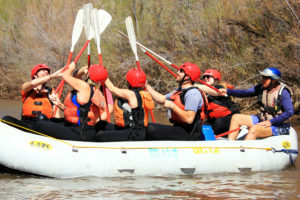 There is plenty of time to re-discover your family and create those life long memories on a Colorado family river trip. Food is fresh, filling and kid and adult approved (special requests accepted!). Play in the sand with your kids, take a hike, laugh around the campfire and sleep comfortably in a tent with your kids – these are memories you won’t forget! Do something out of the ordinary to celebrate with your family! Let us take care of all the details, create life long memories, and help you celebrate! 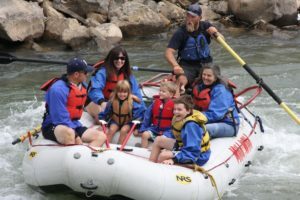 Let Mild to Wild help make your kid’s birthday even more special with a rafting trip down the Lower Animas River in Durango with family and friends! When you’re on vacation, you want to make the most of your time and money. We understand. So, we have created our Family Adventure Value Packages. 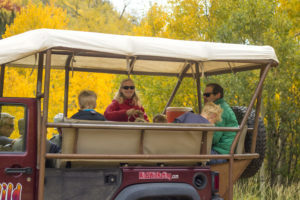 Discover cascading water falls, Colorado’s famous wild flowers, high elevation wild life, and mining ruins on a family Jeep Tour! Just sit back and relax! 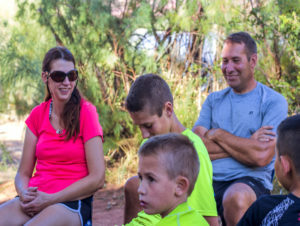 Families, friends and family reunions all enjoy exploring together in outdoor adventures. Groups of just 10 or more receive group discounts. All of us here at Mild to Wild are kids at heart and we love to create fun family trips in the outdoors. Enjoy special moments with your family while the Mild to Wild staff takes care of you on whichever adventure you choose! Kids love river trips…the longer the better! 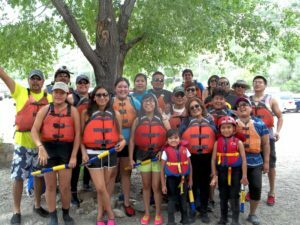 Our Colorado family river trips include hand-selected guides (many of whom have worked with us for 8 or more seasons and have families themselves!). They entertain the kids with stories of adventure and history of the area. Ask them any questions you like or even to have a hand at the oars and try navigating the boat (in the calm sections) yourself! We know time is tight, but an overnight trip experience is truly worth the memories! There is plenty of time to re-discover your family and take time for yourself. Food is kid and adult approved (special requests accepted! ), and, as always, fresh and filling. Relish a few moments of peacefulness for yourself, while the guides entertain your kids with beach games and fun around the camp fire. Moab’s Colorado River (ages 3 & up). 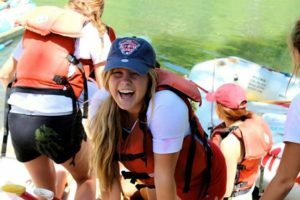 River craft options include rafts, premium boats, inflatable kayaks and paddle boarding. Family members can divide on the craft of their choice to get a different adventure while still staying together! 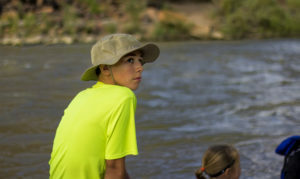 Durango/Pagosa’s Upper Piedra River (ages 12 & up). Durango/Silverton’s Upper Animas River (both ages 16 & up, and all must be physically fit and ready for a pre-trip swim through a rapid). Accommodating special family requests and needs – Just ask us! Trip Consultants that ask about you and your needs so we can recommend and provide the best family experience for you! Being family focused! We are a family. We love kids! We provide kid-friendly guides, food, education & fun!